Babassu oil is a vegetable oil extracted from the seeds of the babassu palm, a plant native to the Amazons. It is still quite unknown worldwide, but it has been used for centuries by the indigenous communities of South America as a cooking oil and as a treatment for skin wounds, inflammation and vulvovaginitis. 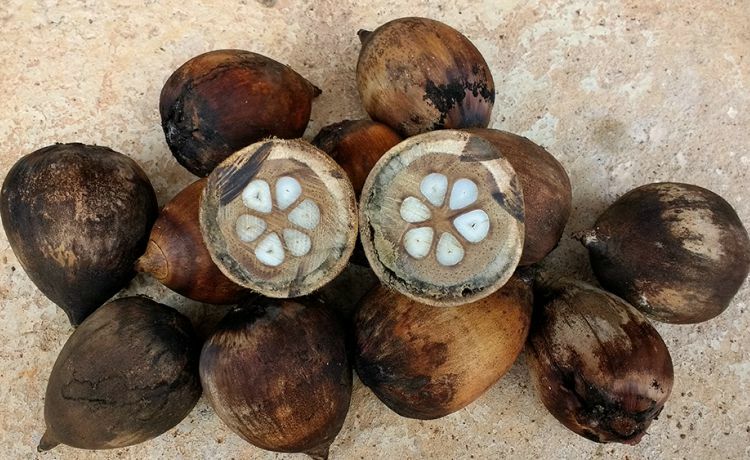 The babassu oil is extracted out of the seeds of the babassu palm, a tree commonly found in the Amazons but also in the North and Northeast regions of Brazil. The leaves, roots and fruits of this tree proved to have several medicinal applications, particularly due to their anti-inflammatory properties. However, it’s the oil that has been gathering attention for its similarities with coconut oil. Unlike coconut oil, so associated with beauty, the babassu is mostly recognized for its medicinal potential to treat several skin ailments. Besides helping to nourish the skin, it contains several components that aid in fighting inflammations and infections. Babassu oil is highly rich in fatty acids such as lauric, oleic, myristic, palmitic, capric, caprylic, stearic, and linoleic acids, according to a 2006 study. It is also a microemulsion which means it promotes a better and deeper absorption of nutrients even when mixed with other products. Due to its richness in lauric acids and glyceryl laureates, this oil presents a very good anti-inflammatory effect. In a 2017 study, the researchers go as far as to suggest further studies of its anti-inflammatory properties since they present great potential to be used as a medicinal treatment to be included in pharmaceutical products. Since it is an emollient, this oil creates a protective layer over the skin that prevents water loss and dehydration, while simultaneously blocking pollutants and other harmful substances from damaging it. This effect is similar to one of petroleum jelly, but unlike the latter, it provides nutrients and moist to the skin too. It is also very light and rapidly absorbed one applied. Since it is an emollient oil, the babassu oil can work just like Vaseline for hair, but without the greasy effect of the latter. It can be used in more cases than petroleum jelly since it has nourishing and anti-inflammatory properties that the jelly lacks. Since it is an emollient oil, the babassu creates a thin protective layer over the shafts that stimulates their hydration from within and shields them from external aggressions. The ends are the oldest and driest part of the hair since they have been exposed to harmful factors for the longest. Once split ends appear it is impossible to restore, but applying this oil can prevent further damage and disguise them. 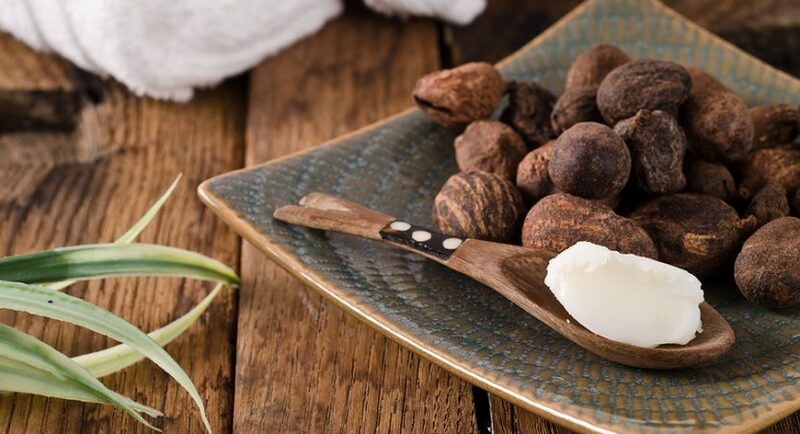 Due to its richness in fats, vitamins and minerals, the babassu oil can nourish the hair, leaving it softer, stronger and with a more voluminous look. You can even add it to your shampoo or normal conditioner for an extra nutritive punch. Plus, since this is a dry oil, it can be used by people with oily hair and skin without fearing the worsening of their symptoms. 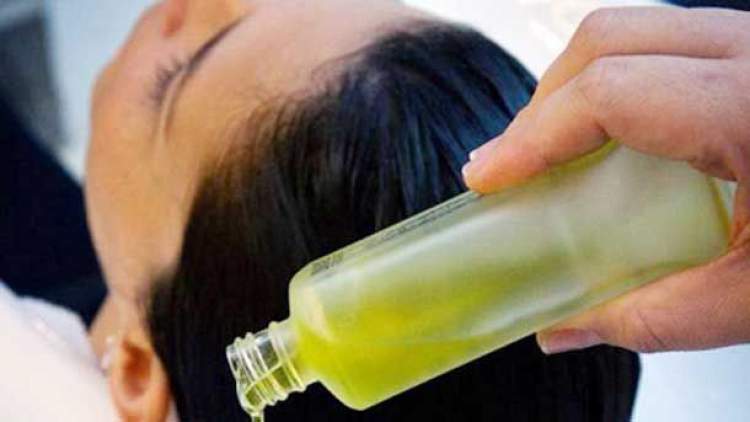 If your scalp is feeling itchy, irritated or simply dry, this may be the oil for you. Its fats and nourishing nutrients help to restore the damaged skin and reduce the uncomfortable symptoms. As for dandruff, it can only help with its treatment if it is not caused by a bacteria. The babassu oil’s antimicrobial components have no effect on the bacteria that causes this problem. As a regular moisturizer, you can just dab your finger in a bit of oil and apply it on the skin. Unlike coconut oil, there is no need to warm it up. The body heat is enough to turn it into liquid and improve its absorption. Let it work its magic for 30 minutes and rinse the skin. For the hair, apply it on the dry strands and comb your hair to ensure it is well diffused. Wait approximately 1 hour and wash your locks normally with a shampoo and a conditioner. As an alternative, you can also apply the equivalent of a regular bottle cap to 100g of your conditioner and use it normally. Both oils are very similar in composition, what makes them interchangeable. However, each has its own unique peculiarities too. The babassu oil is lighter than its coconut counterpart. While the latter may take a while to be fully absorbed, the first leaves no trace almost immediately after applied. The biggest difference, though, is the fact the oil from the babassu is an emollient that creates a protective barrier over the skin and hair, a feature missing from the coconut oil. The first also has a very mild aroma compared to coconut which makes it a great option to mix with essential oils since its a good carrier and it won’t interfere with the oils’ scent. You can apply babassu oil directly to your strands to prepare a deep nourishing DIY hair mask with it. Here is an example of a recipe. 2. Make sure your hair is dry and saturate it with the mixture. You can use a spray bottle for convenience, a comb to diffuse the oil or even to rinse it with it. Put on a head-wrap to hold your hair and leave it on overnight. 4. The following morning, wash your hair as usual, with shampoo and a conditioner. Note: this oil is very popular in Brazil among people with curly hair. However, it does not affect the texture of the hair at all and does not help to straighten it. It can only help the hair to become shinier and healthier.